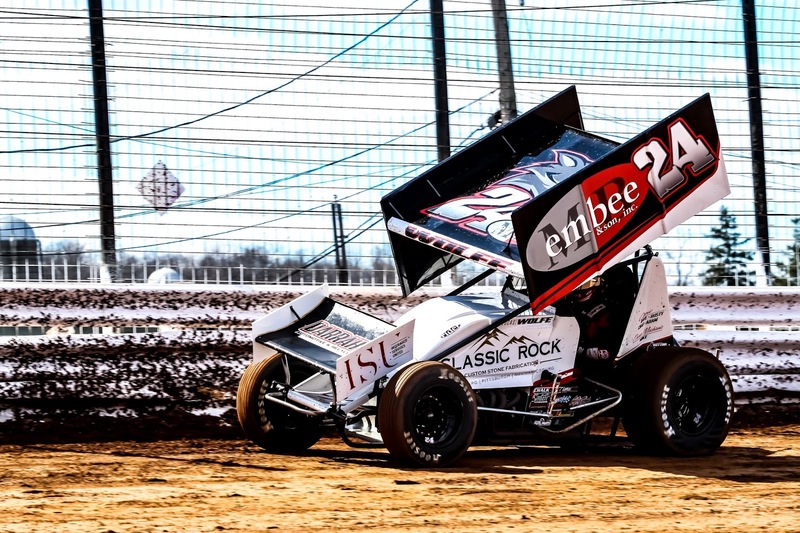 Mechanicsburg – For the second year in a row, Lucas Wolfe scored the opening day main event for sprint cars at Williams Grove Speedway on Sunday afternoon, taking home $4,080 for the top prize. The victory was the 20th of Mechanicsburg driver’s career at the oval and his second overall on the young season in the area. Wolfe began the feature from the third spot but watched as polesitter TJ Stutts took the lead at the start. Just after the first lap was completed, Ohio invader Cole Duncan spun on the first turn cushion and got nailed by Robbie Kendall, forcing a caution flag. Only another lap was scored before Dylan Cisney also spun on the turn one cushion, slowing the pace again. Stutts held off Anthony Macri when action resumed as Ryan Smith took third from Wolfe. Macri, who started alongside Stutts on the front row, didn’t alow the leader to pull away and with 10 laps completed, he was ready to mount a challenge for the lead. Macri went low on Stutts as the pair entered the first turn on the 12th tour and came up with control on the backstretch. But then just as quickly as Macri made a great move to take command, he made a mistake entering the third turn when he drove in on a lapped car and hit the machine, knocking off his front wing. This jumbled the front runners and caused a scramble out of the fourth turn with Stutts leading back to the stripe but Wolfe having capitalized on the bunch-up to race by Smith and Macri into second, just before the yellow flag appeard for the debris. Macri was out of action and Wolfe chased Stutts for the restart but didn’t mount a challenge at that point. It took until the final three laps for Wolfe to catch Stutts as the leader’s line kept getting higher and higher out of turn four as traffic loomed ahead of him. The pair crossed the stripe for lap 22 with Wolfe to the leader’s inside and then moments later Wolfe darted into the lead as the pair set their cars into the first turn. Once Wolfe was able to get in front, he pulled away to the victory by 1.843 seconds. Ninth starter Danny Dietrich came on late to snare second from Stutts with Smith ending up fourth and 11th starter Dale Blaney riding home fifth. Sixth through 10th went to Freddie Rahmer, Brian Montieth, Chad Trout, Brock Zearfoss and Cory Haas. Heats went to Dietrich, Montieth and Smith. Indiana’s Spencer Bayston had a solid fourth place run going before withdrawing during the last half of the event. Freddie Rahmer motored from 24th starting spot for his finish. Keep up to date on all the latest speedway news and information by visiting the oval’s official website located at www.williamsgrove.com or by following the track on Twitter and Facebook.